This fall I had fun building on my eco-printing experience. I purchased a 15 gallon homebrew pot so that I could use larger rods to bundle fabric. The other upside of a large pot was that I could print larger pieces of paper! I made silk scarves, silk/wool infinity scarves and I even made a top for myself! Me and my new eco-printing pot! Is it big enough? Images left to right. Bundles on rods (fabric) and between cookie sheets (paper) fresh from the pot. 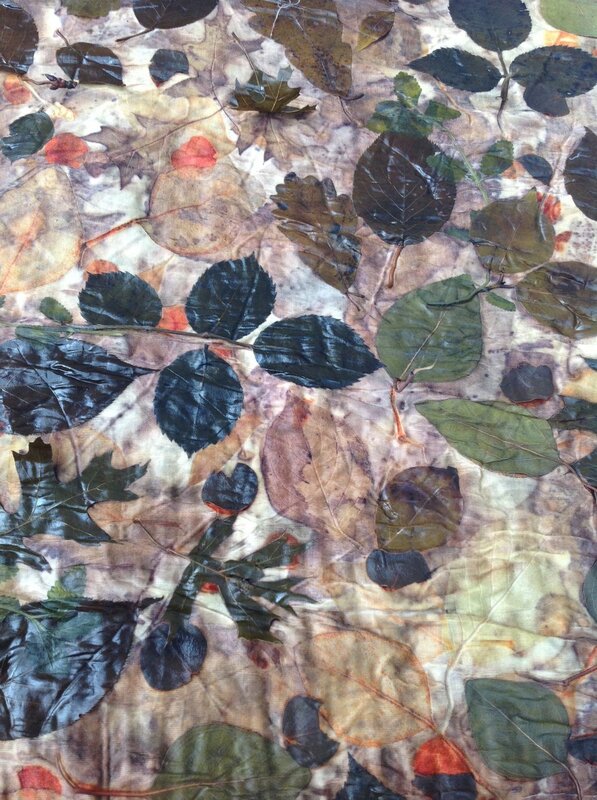 Fabric with the leaves still in place. Shirt from silk/wool jersey. Close-up of the shirt.